I am pretty happy with this for it being the first time I have tried a doggy dress...I just need to allow more room in the ribcage area next time, pugs are so chesty! My doggie may look cute, but he's vicious! Nice job, it looks really good! And your pug is absolutely adorable! I know what you mean when you say pugs are chesty; I have a boxer and his chest is enormous! Beautiful job on the dress she looks so sweet in it! One of my pups is a mix breed and he's VERY chesty. I can never buy clothes that fit him so I need to make them. Do you have a pattern for the dress? Maybe I could tweak for a male pup? Very cute!!! 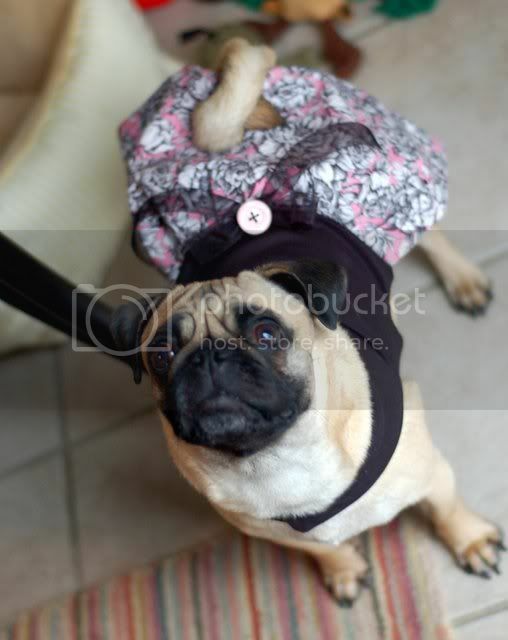 Love the dresses, and your pug! 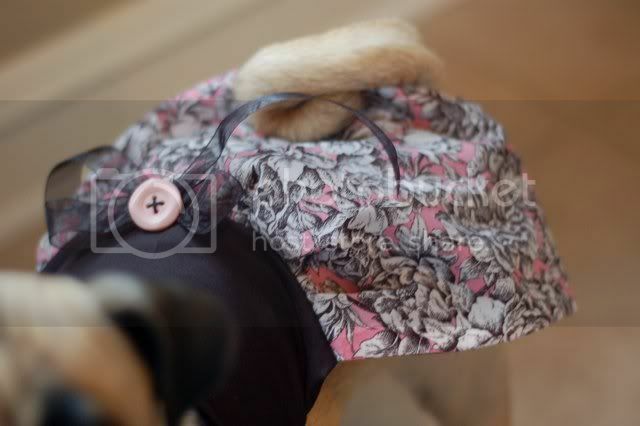 I used to dress my pug Rocky. Now that I have two (Rocky and Rambo) I don't dress them. The little stinkers pull the clothes off each other. I have two pugs and would love to dress them up but know that they would just tear the clothes off oneanother. They see it as a game. 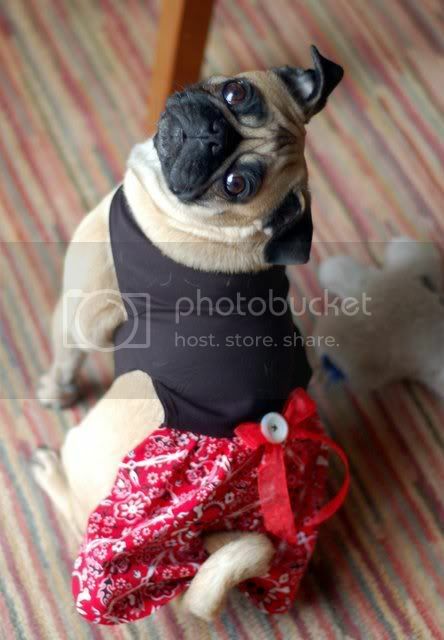 What a lovely dress for such a lovely pug. Now what dog wouldn't prefer fabric with skulls on it? That dress is super cute! And of course your doggy is adorable. And when I loaded that first picture, I instantly "Awwww! "-ed; I get that same look every morning, and it says "Pwease a biscuit?" Super cute! Is the black fabric stretchy?